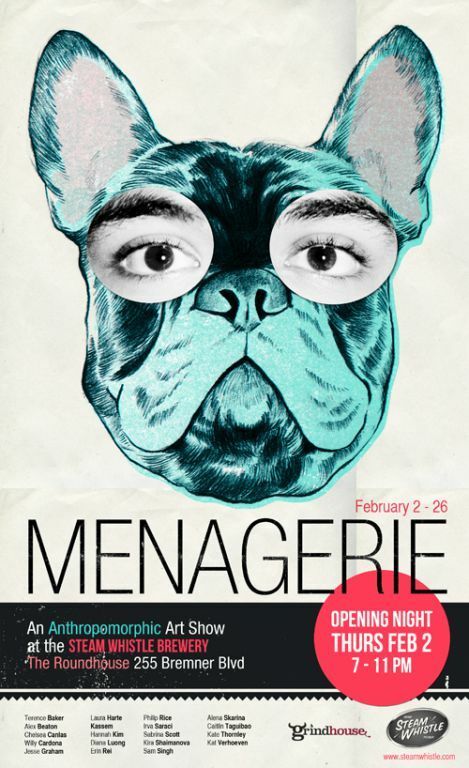 The Steam Whistle Brewery, in Toronto, Canada, is hosting an exhibition of "a series of anthropomorphic illustrations". 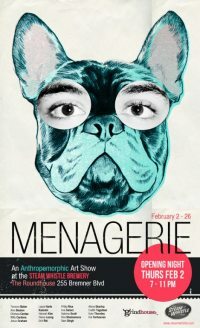 Entitled Menagerie, the art show features the work of nineteen local artists, who explore "the idea of anthropomorphism as a form of self-extension". The exhibition, featuring images of a number of different species, runs until February 26. Entry is free.